Fig. 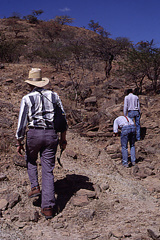 7 - Prospecting for fossils. At left, the field crew prospects in the Mugher Mudstone for Mesozoic fossils. 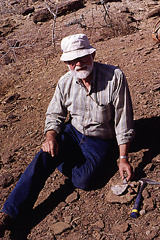 At right, UC Berkeley Professor Bill Clemens at one of the fossil localities in the Mugher Mudstone. 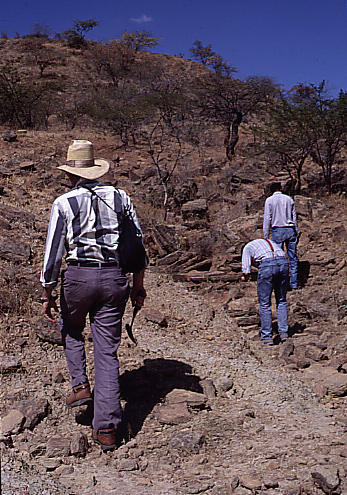 Abundant fossil crocodiles and turtles were found at this site near Alem Ketema.